Provide comfort for the family of Dorothy Roseweir with a meaningful gesture of sympathy. Dorothy Ann Roseweir (Gerron), 86, of Enfield, passed away peacefully on Friday, March 22, 2019, with her loving family by her side. She was born in Scranton, PA, on January 17, 1933, the daughter of the late Frank and Katherine (Kranick) Gerron. 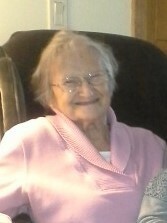 Dorothy was a sweet, thoughtful and kind person who touched the heart of everyone that had the pleasure of knowing her. She had a great sense of humor and was always able to put a smile on your face up to the very last day of her wonderful life. She will remain in all of our hearts forever. Provide comfort for the family of Dorothy Ann Roseweir (Gerron) by sending flowers. I am so sorry I was not told anything. I am so greatful you had that chance gram to meet my daughter Kayla. You will be forever missed. My Aunt Dorothy was the most kind and gentle person, always laughing.I have many memories too many to write,but over the years we really became closer. I would call her and we would talk a long time on the phone sharing little jokes and funny stories. She will be forever in my heart. I loved her deeply. You will be forever missed.